Visitors are a great source of information on local wildlife. They find corners we haven’t explored and look at them with fresh eyes. Clive Chatters, a Hampshire botanist, was in Assynt during the summer of 2018, doing research for a book he is writing on British heathlands. 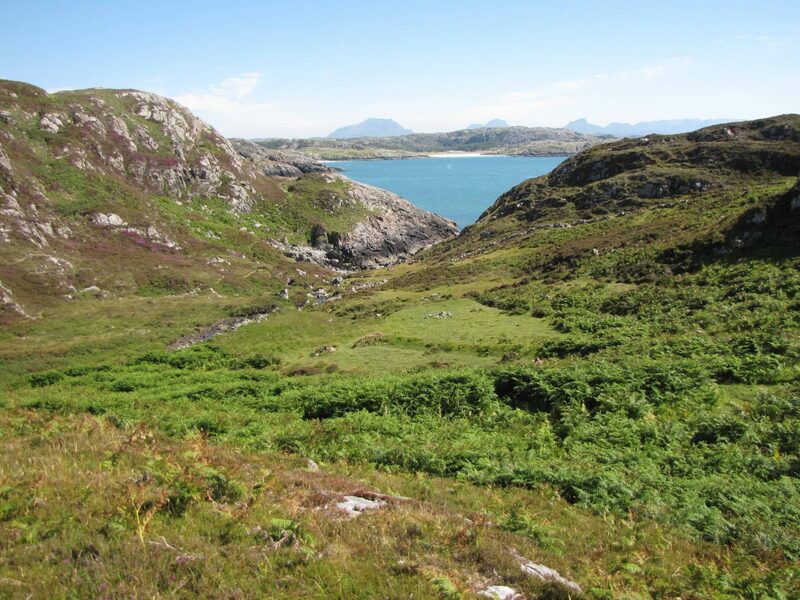 He was really taken with what he found, describing Assynt as having ‘a glorious suite of coastal heaths’. On 10thJune he was exploring the valley of the small burn that drains out of Maiden Loch, Clachtoll (NC0426). On the seaward side of the road are the ruins of a mill, and between it and Cnoc Beag to the east, a steep path leads down to a small wooded valley. This broadens out into a marshy area, bounded to the south by a ridge bearing the ruins of two buildings. 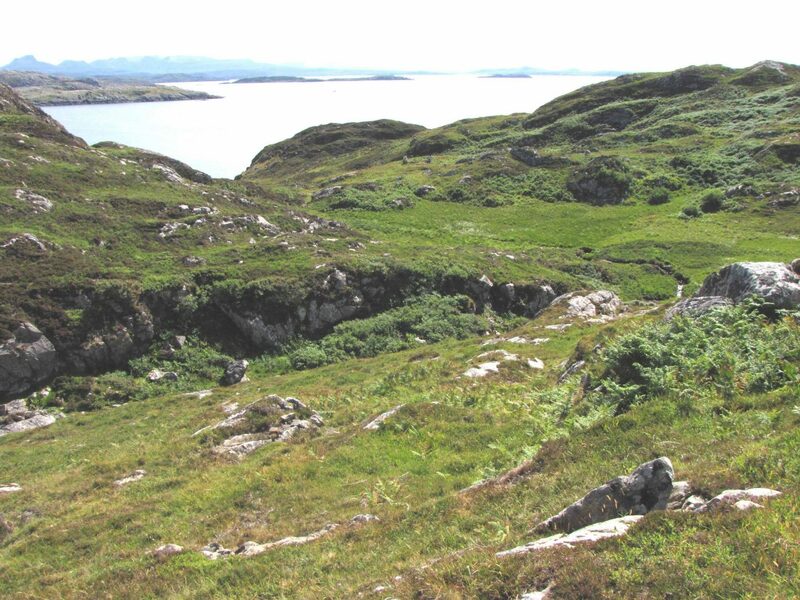 Below them, on a slope leading down to a rocky beach, there is an area of old cultivation, marked by walls and a large clearance cairn. Clive spotted here some ten plants of the small adder’s-tongue Ophioglossum azoricum. These tiny ferns have paired leaf-blades about half an inch long, each with a separate fertile spike bearing up to 13 horseshoe-shaped sporangia. They were growing in a grassy sward grazed very short by sheep, ‘management’ well-suited to their diminutive stature. 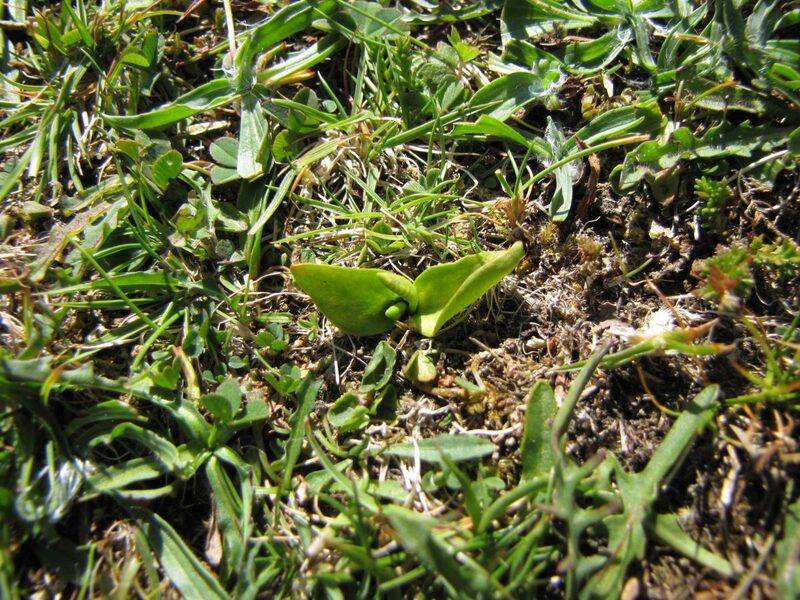 Elsewhere in Assynt, small adder’s-tongue occurs in cliff-top grasslands on the Stoer peninsula, notably just north of the Stoerhead Lighthouse, with one atypical occurrence in shingle at Loch na Mola, Ardvar, where it was found on a Field Club meeting in August 2013. In the British Isles as a whole it is virtually confined to the seacoasts of the western mainland and islands. 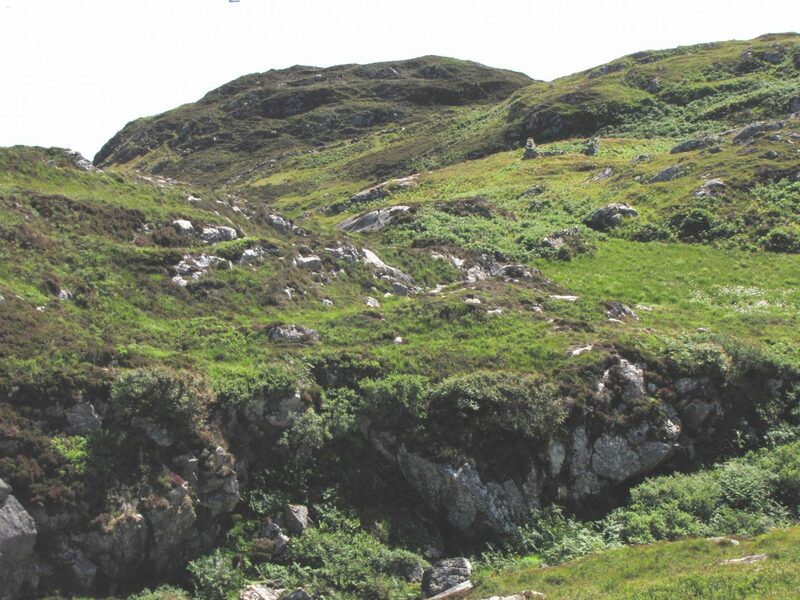 We visited the Cnoc Beag site on 29thJune and, with the benefit of a 10-figure grid reference from Clive, re-located the fern, although not until we had spent some twenty minutes on our hands and knees, which increased our admiration for Clive’s skills in finding it in the first place. We went on to make a list of the plants in this delightful area, the heathery slopes round which were picked out by the deep rose-purple of flowering bell heather Erica cinerea. 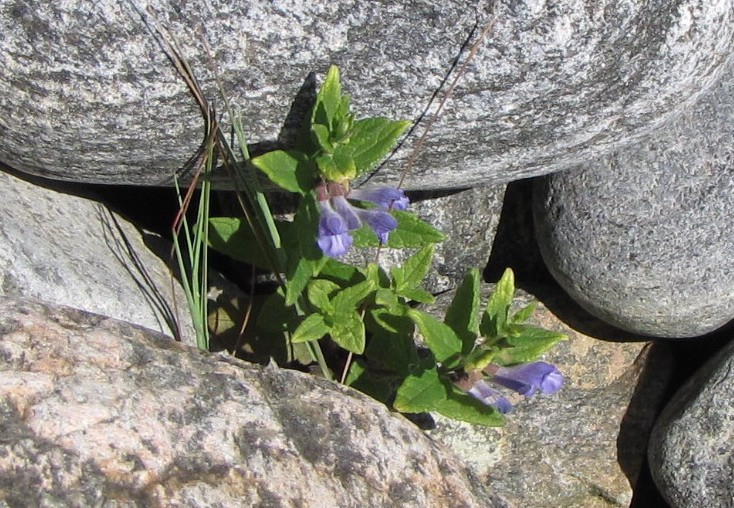 In about half a kilometre between the road and the sea we logged over 130 species, including another coastal speciality, greater skullcap Scutellaria galericulata, with its paired blue flowers, growing along the top of the rocky beach. The seemingly unending sunshine of a second local heat-wave had also brought out a number of butterflies, including common blues, dark green fritillaries and meadow browns.